Peoria got two in the 8th to tie and pushed across the winning run in the 9th for an 8-7 win over Salt River. Just two Nationals appeared in the game. • Jake Noll reached base four times with three singles and a walk, scored a run, and drove in a run. He also stole a base and turned a 5C-3 double play (pictured above). 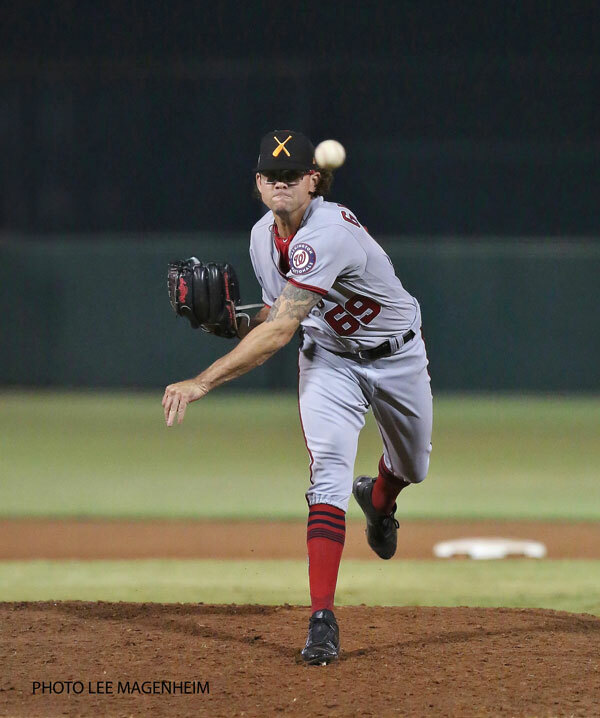 • Like Taylor Guilbeau on Tuesday (sorry) Ben Braymer (pictured yesterday) was the first man out of the ‘pen and was Shawn Kelley’d by the first batter he faced for a solo HR. He recovered to strike out the side – all caught looking. The loss dropped the Rafters’ lead over the Solar Sox to 3½ games going into today’s off day. 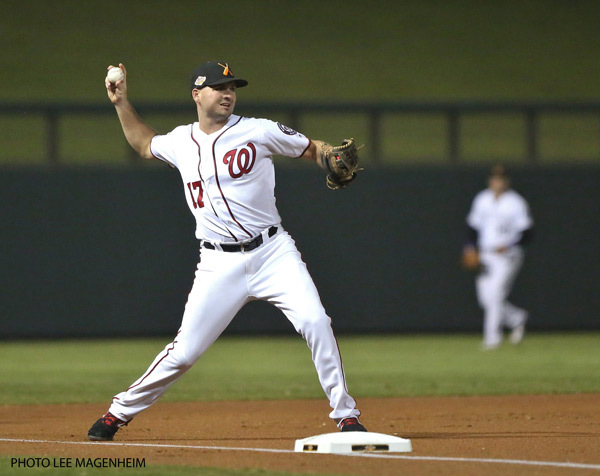 Who would the Nats rather stick in the bench. ? Justin Bour or Lucas Duda ? ?